Even though I reviewed the first book in The Seven Realms series, The Demon King, I never did review the second book, The Exiled Queen. That was partially because I read that one and one other book when I was sick and I never got caught up. It was also partially because I didn’t have a lot to say about the second book that I hadn’t already said about the first in this young adult fantasy series (aside from the fact that I enjoyed it even more than the first). 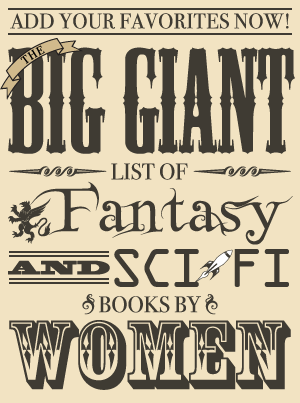 That remains true for book three in the series, but I want to talk about it anyway because I don’t see these books mentioned often around the SFF blogosphere and I love them! 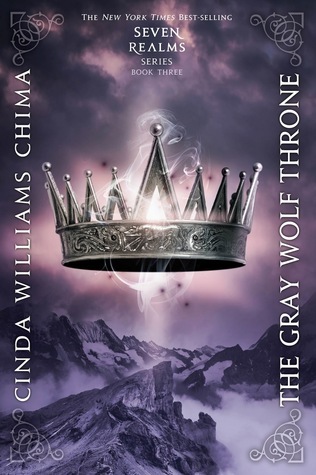 In an effort to get caught up on reviews, I’m writing some mini-reviews and The Gray Wolf Throne seemed like the perfect book for that since I didn’t feel like I had a lot to add to my feelings on the first book, other than that I also enjoyed this one more than the first. Instead of writing my own plot description, I am just going to show the book blurb, followed by my thoughts on the book. The plot description may contain spoilers for previous books. This review contains a spoiler for the end of the first book. Han Alister thought he had already lost everyone he loved. But when he finds his friend Rebecca Morley near death in the Spirit Mountains, Han knows that nothing matters more than saving her. The costs of his efforts are steep, but nothing can prepare him for what he soon discovers: the beautiful, mysterious girl he knew as Rebecca is none other than Raisa ana”‘Marianna, heir to the Queendom of the Fells. Han is hurt and betrayed. He knows he has no future with a blueblood. And, as far as he’s concerned, the princess’s family killed his own mother and sister. But if Han is to fulfill his end of an old bargain, he must do everything in his power to see Raisa crowned queen. Meanwhile, some people will stop at nothing to prevent Raisa from ascending. With each attempt on her life, she wonders how long it will be before her enemies succeed. Her heart tells her that the thief-turned-wizard Han Alister can be trusted. She wants to believe it–he’s saved her life more than once. But with danger coming at her from every direction, Raisa can only rely on her wits and her iron-hard will to survive–and even that might not be enough. The Gray Wolf Throne is an epic tale of fierce loyalty, unbearable sacrifice, and the heartless hand of fate. Cinda Williams Chima is a wonderful storyteller with a knack for creating memorable characters. Her fantasy story contains some cliches and characters who seem to be unbelievably skilled, but I think this series is a perfect example of how tropes are not always bad. Even when I know what is going to happen, there is delicious anticipation about seeing events play out and the characters’ reactions to new knowledge. It’s difficult to pinpoint exactly why Chima succeeds with utilizing tropes when so many authors do not, but the way she creates and builds excitement through them makes it nearly impossible for me to put her books down. Her books are not ones I enjoy reading but then immediately forget about once a day or two has passed, either. Her books are keepers, ones I cannot imagine my bookshelves without. All this discussion of cliches and tropes does not mean there are no surprising plot twists; in fact, there were a couple of major occurrences in The Gray Wolf Throne that I was not expecting. Nor does it mean there are no unique qualities to the world Chima has created. The foundation is very standard with the main story revolving around chaos in a queendom (not a kingdom!) that ties back to a story from long ago involving one of the Gray Wolf queens and a powerful wizard. There are some touches that add more depth to the world, such as the rules put in place due to these occurrences from long ago and the intricacies of the clans and varying attitudes toward wizards, both revered and hated. The characters are why I most love The Gray Wolf Throne, though. The series follows two main characters: Raisa, princess heir to the queendom, and Han, a charismatic thief with a greater destiny. Han and Raisa are both characters who seem to be incredibly good at everything, and they have a lot of qualities I usually groan about when it comes to fantasy characters. Han is a crafty thief who is well known in his city, a badass fighter, a powerful wizard, and a handsome, charming young man. Raisa is a spirited young woman who is not afraid to get her hands dirty and work hard, lovely and beloved by men, and she has all the makings of a compassionate and wise future queen. Yet neither of them irritate me with Their Awesome, and I wouldn’t want them any other way. They’re not annoying to me because both of them have come far since book one and develop throughout the books. Also, neither of them have an easy life, and the struggles they face make me want to see them prevail against all obstacles that come their way. Han and Raisa themselves are the main reason I loved this book so much, and without them this book just would not have resonated with me the same way. Where I got my reading copy: From an author ARC signing at Book Expo America.